Do you want to drop a few lbs before a big event this summer? Or is the dread of getting in a bikini killing your pre-holiday buzz? Here are a few simple ways you can shape up quick sharp. 1. Eat mushrooms. The meaty texture of mushrooms makes them the ideal substitute for meat. An easy and purse-friendly food swap that will help you trim down. Mushrooms are having a moment right now, with stars like Katy Perry and Kelly Osbourne said to be fans of the healthy alternative. Simply swap one meal per day for a funghi-based dish and you’ll see results. A bonus is that mushrooms are packed full of B vitamins, iron and zinc. 2. Have a pre-gym coffee. Drink a cup of coffee (a black coffee has just five calories) and the caffeine boost will ensure you have a far more effective workout. As well as giving you more energy, a research team based at the University of Illinois believe that caffeine helps stop the pain processing nerves in the brain and spinal cord from working, meaning you’ll feel less pain in your leg muscles during your sesh. 3. More sleep. Try and get half an hour more sleep than you usually do. Feeling refreshed means that you’ll be less likely to crave sugary, energy-giving, foods the next day. And, as if you need an another reason to spend more time in the horizontal, sleep also boosts your metabolism and allows your body to build muscles, meaning better muscle tone. 4. Water. Kickstart your metabolism by drinking shed loads of H2O. Don’t waste calories by downing sports and soft drinks. Often hunger is mistaken for thirst so if you’re feeling peckish always try and drink some aqua first. 5. Yogurt. Put down the crisps and reach for a tasty yoghurt. The benefits are easy to see: 1) the calcium tells your fat cells to pump out less cortisol, making it easier for you to drop pounds, while the amino acids help burn fat, 2) the probiotics help maintain a healthy gut, helping to cut down bloating, and 3) it’s crammed with vitamins, including riboflavin, iodine, zinc, plus vitamins B5 and B12. 6. Ditch white grains. That means white pasta, rice and bread. Carbohydrates are digested quickly, leaving you hungry and more likely to overeat later, which is never a good thing. 7. Olive oil is your friend. 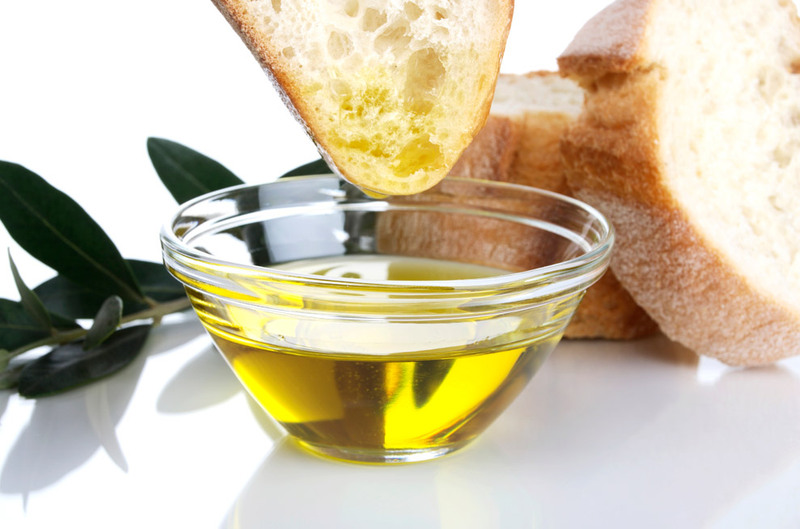 According to research at the University of Irvine, the oleic acid in olive oil is transformed into something called OEA. This compound relieves hunger and suppresses the appetite by sending signals to your brain telling it you’re full. So, swap your usual salad dressing for a splash of olive oil, or buttered bread for a dunk in the golden stuff, and you’ll be good to go. 8. Wear tight clothes. Nothing gives your diet motivation a boost more than finding your favourite pair of skinny jeans that little bit uncomfortable. Crowbar yourself into something too tight and we guarantee you’ll avoid snacks all day. 9. Portion control. Serve your food on a side plate or one of your children’s plates to limit the amount you eat at dinner time. The logic is simple: if it’s on the plate you’ll eat it, if it’s not you won’t. 10. Distractions. Food cravings usually only last about 10 minutes, so if you start to feel peckish, do something else. Phone a friend, go on Facebook, shop online – do anything, just don’t eat. 11. Eat slowly. You might feel like a plonker eating anything other than sushi with chopsticks but it will sure slow you down, giving your brain time to register that you’re full. Do you have any other fast weight loss tips? Let us know in the comment box below.